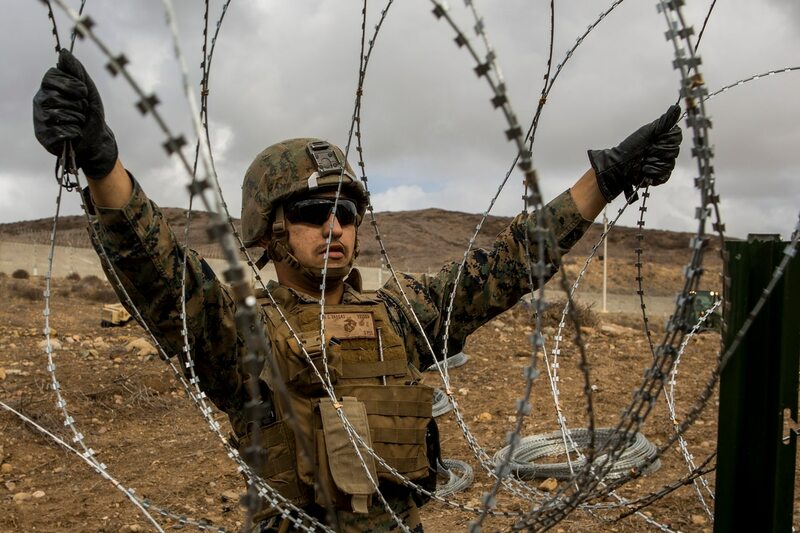 WASHINGTON — Lawmakers want to know if Defense Department officials intentionally hid plans to boost troop deployments along the U.S. southern border when they testified before Congress this week. In a scathing letter to acting Defense Secretary Patrick Shanahan, Smith criticized Under Secretary of Defense for Policy John Rood for not mentioning impending plans to increase the active-duty military presence along the border by 3,500 troops. No specific numbers were provided, but DoD confirmed large additional deployment to occur. He said the move kept senior defense officials from answering difficult questions about the ongoing mission in public and undermined lawmakers’ oversight role. “At best this was an error in judgement, at worst this was knowingly withholding information from this committee as it performs its oversight responsibility,” he wrote. The hearing, which spanned nearly three hours and featured pointed questions from House Democrats about the timeline and political connections of the ongoing border mission, finished just a few hours before Pentagon planners released a statement confirming an increase in the active-duty troop totals there. About 2,300 troops are currently deployed across several southern U.S. states in support roles with the Department of Homeland Security, providing construction, logistics and intelligence services. The deployments began last October and totaled nearly 6,000 at points last fall. Critics including Smith have panned the mission as a political exercise, designed to imply an immigration emergency along the border when federal statistics show no meaningful increase in illegal crossings or imminent threats. But Rood testified that the threat posed by a massive caravan of immigrants in Central America justified the move. He also said in the hearing that “there will be additional deployments of active duty troops that will go through the end of this fiscal year,” but he did not mention an increase in the current deployment level. Defense planners later said they will send an additional 3,500 troops at the request of Homeland Security officials, bringing the total number of troops deployed to about 5,800. Current orders for the border mission expire at the end of September. A defense official said it is unlikely all 5,800 will stay at the border through September. Smith said the decision to withhold the formal increase announcement until after the hearing damages lawmakers’ trust in the independence and honesty of the Defense Department.